We love hiking boots. They’re lightweight, flexible, ready for just about anything, and they're designed for other places besides the trails. Of course, if you wanted to take these Danner Mountain 600 Men’s Black 62248 Waterproof 4.5-Inch Duty Hikers out with y ... (see full details) (see specifications) #62248. We love hiking boots. They’re lightweight, flexible, ready for just about anything, and they're designed for other places besides the trails. Of course, if you wanted to take these Danner Mountain 600 Men’s Black 62248 Waterproof 4.5-Inch Duty Hikers out with you on your next camping trip, you'd be perfectly prepared for anything nature has in store for you. We also love men's hiking boots for your work day as well. You can't beat the superior protection and support of hiking footwear while you're on the job or on the hike. These black Mountain 600 work boots are crafted with 4.5-inch full-grain leather uppers. This leather is put through six different tests before being selected for these men's boots because Danner doesn't take the easy way out. Lined with 100% waterproof Danner Dry barriers, you can walk confidently through any mess you have in your day. These versatile waterproof boots are made with a low profile that fits comfortably for everyday wear with a lacing system that's made to offer you the support you need, no matter what you're busy doing. Inside these 4.5-inch leather boots, you'll experience the comfort that sets Danner apart from the competition. Using rubberized EVA midsoles, you're given all the cushioning properties of EVA, but you'll find that your duty boots last longer and won't break down as easily as others. Nylon shanks are also included to provide much-needed arch reinforcement from below. 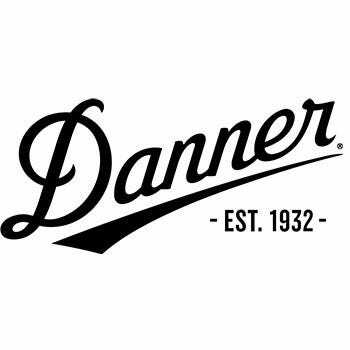 When it comes to quality, Danner knows what they're doing and has a reputation to back that up. Together with the Vibram Fuga outsoles, you'll appreciate the all-day comfort for your feet. These durable outsoles have self-adapting lugs made with Mega Grip compound for traction on wet and dry surfaces in a variety of situations. For all you need and a little more, these Danner Mountain 600 Men’s Black 62248 4.5-Inch Duty Hikers from Working Person's Store are ready for action on the trail - or the job site. Danner Boots: Mountain 600 Men's Black 62248 Waterproof 4.5-Inch Duty Hikers is being added to your cart.